The health issue is very serious to the extent that I barely go a day without severe pain. I have been in and out of the hospital in the past 5months. I have spent all my money on drugs and bills. I am so broke now and I still need to do a test. The doctors have asked me to do a test called ECHO which is going to cost me 40,000n(112$) and right now I don't have a dime. And I need to do the test to know the exact treatment that will be given to me. Please I really need your help. If you are reading this please help me and save a life. Anything whatsoever you can help me with. I will be very glad. You will get through this, in Jesus name amen.! The help you need will hasten itself. I hope everything will be fine. I’m so sorry to hear this! But I can only pray and encourage you to trust God still, healing is children’s bread, God will use people, doctors, steemers etc to assist you! Thanks for the confidence bestowed on us. Expect my own support in one of those accounts provided. OMG! 😱😱😢😢 I'm so sorry about this. I believe the talk and do God will handle the situation and make sure you pass through this stage and recover safely. 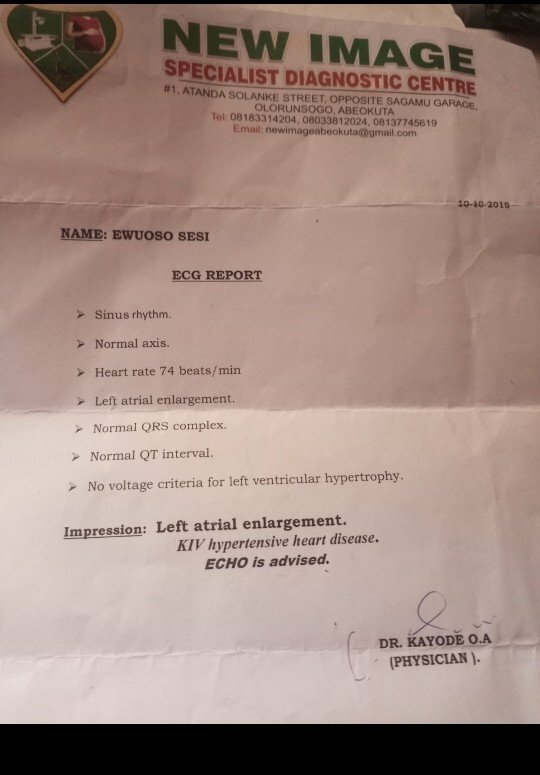 @ewuoso I'm really sorry about your health issues, thank God you opened up bro so we can know and assist. I will be praying for you and try to support whichever way I can, Please are you on whaleshares? Sorry for ur issue. I wish u speedily recovery and a good health....pls always put ur trust in God for ur healing and He will definitely heal u. Hope that my little financial help being consolidated with that of others could help! More love, prayers, visitation are needed for our Steem friend @ewuoso. Get well soon, man. I'll send love and whatever I can. I'm deeply sorry for everything you are going through... I'll do my best... God be with you brother. I'll resteem this straight away, I pray you get well soon. You will not die young dear, I noticed but i thought you've been busy with online stuffs. So sorry about your health issue. Am glad you spoke up, It's your turn today, may be anybody tomorrow. Will remember you in prayer dear and do whatever i can to help. So sorry for his health issues. I pray it will not take your life but it will leave you soon. Also I will try my best to reach out here on steemit to make more donations.. So sorry bro. 100% vote from me. Please allow ne to be your friend. Perhaps I can help in some way. So sad to see a brother in this condition. Neither Gold nor millions do I have to offer for now, but I shall cry unto the God I serve who knows the functionality of every cells in your body and who can replace any organ without the need of a doctor. He will heal you of any diseases. I need you to search your heart for anything that doesn't glorify the name of God, make restitution in your heart. Focus your mind on him, be sorry to him for them. Plead for forgiveness and ask him for even if it is an ounce of his mercy. Ask him to take away the pain, do it with faith knowing with him nothing is impossible. We need faith to please God. And when you do all these, the God that I know sees everything. He neither neglects cry for such nor faileth. He is the absolute and perfect healer, the greatest doctor. He is awesome, glorious in power and does for who ever acknowledge his greatness beyond expectations. He is God. He will surely answer. Then, give him praise. Sing joyfully unto him even while you're in pain. He is fearful in praises, marvel at songs that come from a true heart. He tends to do exceedingly when he is praised. I will also forward this to other friends for more assistance in any way. I wish you speedy recovery brother! So sorry about this bro. 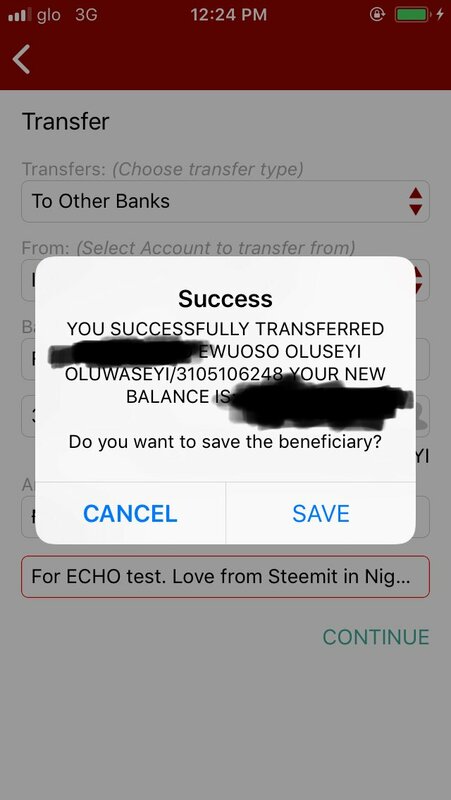 God is in control and we will say some prayers for you too.. Steem love is enough @ewuoso... Just manage with the little steem to give you. You will not die young but live to testify the goodness of God. It is well with you beloved brother. You will pass through this trying time in Jesus name (Amen). So sorry man, I pray for better health and recovery, stay strong. You are in our prayers. I have also had an expensive major operation recently, as the main artery to my brain was blocked 95% and I faced death by a stroke my friend. God pulled me through and He will do the same for you! Best that I have to help you is a 100% upvote! Omg! Nothing will happen to you bro. You'll be fine. The Nigerian community has got your back bro. I hope my little donation will add up to something. More to come. You've been a survivor bro, and you'll survive. May the healing virtue of God flow through you dear. It is well with you. If I were in that situation smoking a small bit of marijuana occasionally as needed would be my first choice. Would have Young Living's Stress Away essential oil mixture (link below) going in the diffuser constantly. If the Stress Away ran out, YL Lavender essential oil would be my next choice. Disclaimer: This what I would do for myself and not medical advice. Olusesi! You will be fine. It is well. Boss, God will heal you. I will pray as well. So sorry to hear. Sorry about your health @ewuoso. Will get back to you soon. Pray for God's healing upon you. It is well with you bro. Where are you from bro? And how long time you suffering this problem? Previous where were you did a test? Oh my God, I am so scared right now. I pray you get the funds needed and most importantly, heal faster.